Lonesome tree at Plum Island, 18" X 24"
This painting was inspired by a scene at Plum Island Massachusetts. As I was driving down the Refuge Road, I spotted this lonesome tree in the far distance. 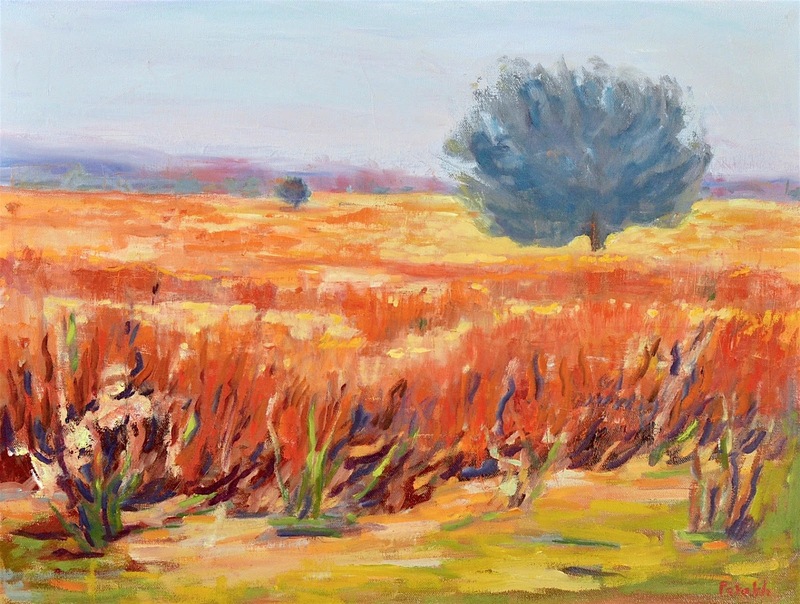 The foreground marsh grasses had a lovely russet color. It was such a beautiful scene, I had to stop my car and take in this beautiful view. I definitely recommend visiting Plum Island in late fall. It is one of the most beautiful places in Massachusetts. This painting is 18" X 24" on stretched canvas with a 1/2" depth. The sides are painted black and it is ready to hang.